Lisa Sherwood or "The Hag" is one of 15 Killers currently featured in Dead by Daylight . She was introduced as the Killer of CHAPTER III: Of Flesh And Mud, a Chapter DLC released on 8 December 2016. The Hag is a cursed Killer, able to place Phantasm Traps and then teleport to them upon activation, using her Power. Her personal Perks, Hex: The Third Seal , Hex: Ruin & Hex: Devour Hope , apply crippling penalties to Survivors as long as the associated Totem remains uncleansed. Her Perks revolve around a new game play mechanic: the Hex Totems. They are focused on cursing the Survivors and sapping their abilities. The curse lasts until the Survivors manage to track the Hex Totem down and cleanse it. Lisa Sherwood grew up in a quiet village, mainly isolated from the rest of civilization. The people of the hamlet were kind and the elders kept old traditions alive, often keeping the peace by personally settling the ever-rare disputes. Lisa was particularly fond of the charms they taught her to draw for safety and good fortune. One night, as she was walking home through the woods, a terrible storm struck without warning. Howling winds whipped at her hair as she stumbled through the swamp, her rain-drenched dress plastered to her skin. In the slick, wet mud she lost her footing, careening backwards and striking her head against rock. Slipping in and out of consciousness, she strained to identify the dark shapes approaching her from between the trees. That's the last thing she could remember. Her kidnappers kept her chained to the wall in a flooded cellar. Though dimly lit, she could see others whose large open wounds swarmed with flies. It took merely a day before they returned, carving chunks from the prisoners' bodies with rusted blades, consuming their very flesh down to the bone. Most she saw did not survive long once the cannibals targeted them but somehow, deep within, Lisa persisted. Starved, infected, and mutilated after several weeks of torture, her gaunt arms became loose in their shackles. She pulled hard, the metal tearing through skin and muscle until she was free. Her flesh oozed viscous yellow pus and bones were visible beneath gangrenous wounds. She could go no further. Delirious, she thought of home; she thought of the elders. With her dying breath, she etched the symbols they had taught her into the floor using what remained of her fingers. Almost in response, a dark hunger stirred inside her. It yearned for blood. In oath, she chose vengeance. The village's search party eventually brought them to an old shack in a swamp. Inside, its previous inhabitants had been viciously dismembered and devoured by an unidentifiable animal. In the cellar, amid rotting corpses and disconnected flesh, the elders’ charms were scrawled in blood on the floor. Lisa’s body was not among the bodies and was never found. The village was never the same again. The Claw is a Primary Weapon for the Hag. A horridly overgrown deformity, clawing its way through flesh and bone. 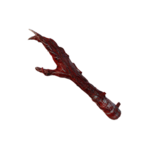 Unlike most other Killers who wipe their Weapons clean, she lets the blood from her Claw drip into her mouth after hitting a Survivor. This is similar to The Hillbilly and The Cannibal who also let the blood drip from their Hammers, but onto the ground. Source of The Hag's power, a blackened finger used as a catalyst for her terrible power. The Blackened Catalyst is The Hag's main Power: she bends and shapes mud to her will. With simple ritualistic drawings, she creates deceitful duplicates of herself made from mud and decay which she can use for various effects. Drawing a Phantasm Trap works very similar to setting down a Bear Trap. She can have up to 10 Traps at once distributed across the map, with each subsequently set Trap removing the oldest one. Her Phantasm Traps also allow to instantly travel up to 40 metres but are vulnerable to Flashlights as they will burn a Phantasm Trap away and thus destroy it. Grants the ability to create and maintain 10 Phantasm Traps. Grants the ability to instantly travel to triggered Phantasms when within 40 metres of range. Survivors who enter the trap area trigger a Phantasm of The Hag to appear and disorient the Survivor. It takes The Hag 2 seconds to set a Phantasm Trap per default. A tripped Phantasm Trap lasts for 5.5 seconds per default. Common A rigid ornament worn around the neck made from dead plants. Slightly reduces the setting time of Phantasm Traps. Common Minuscule eggshell fragments shimmering with a pale golden hue. Slightly increases the tripped Phantasm Trap duration time. Common A small lump of mud, black with the remains of flies. Devoured to increase stamina. Slightly increases the distance from where The Hag can teleport to her traps. Common Murky water contained in a glass pill bottle from another time. Slightly increases the effective Phantasm Trap range. Uncommon A handful of small, pristine flower clusters covered in a fine greyish fur. Reveals the Survivor's Aura for 3 seconds when they trip the Phantasm Trap. Uncommon One half of a perfectly round hollow eggshell. Moderately increases the tripped Phantasm Trap duration time. Uncommon A handful of yellowish wings, dry and crisp. Devoured to increase stamina. Moderately increases the distance from where The Hag can teleport to her traps. Uncommon A rigid ornament worn around the neck made from dead plants adorned with crudely attached cypress bark and swamp moss. Moderately reduces the setting time of Phantasm Traps. Uncommon Tainted water contained in a folded water lily leaf. Moderately increases the effective Phantasm Trap range. Rare Three frail willow branches attached to form a triangular wreath. Reveals the Survivor's Aura for 5 seconds when they trip the Phantasm Trap. Rare A rigid ornament worn around the neck made from dead plants adorned with withered orchid petals and leaves. Considerably reduces the setting time of Phantasm Traps. Rare A large swamp cicada covered in a fine layer of ash. Crispy. Devoured to increase stamina. Considerably increases the distance from where The Hag can teleport to her traps. Rare A pale orange turtle egg, cracked and emptied of its content. Considerably increases the tripped Phantasm Trap duration time. Rare A handful of mud with veins of deep crimson. The bloody layers empower the mud. Considerably increases the effective Phantasm Trap range. Very Rare The cut up, severed hand of the cannibal village butcher. 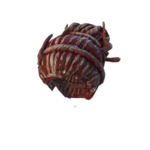 The trapped life essence within unlocks tremendous potential in The Hag's power. Removes The Hag's ability to teleport to her traps. Grants 300 % Bloodpoints from Deviousness Score Events. Very Rare Shackles once used to hold prisoners and carcasses in the cannibal village cellar. The trapped life essence within unlocks tremendous potential in The Hag's power. Trap does not spawn a Hag Phantasm. Tripped Phantasm Traps give no indication of being triggered to the Survivor. Very Rare The cold heart of the cannibal village elder. The trapped life essence within unlocks tremendous potential in The Hag's power. 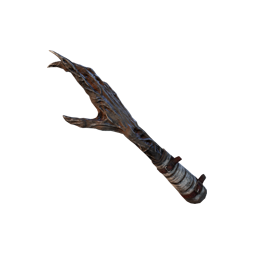 Reduces The Hag's Terror Radius to 0 metres when a Survivor triggers a Phantasm Trap. Very Rare The cannibal village deaf boy's ear. Deformed due to several hits to the head. The trapped life essence within unlocks tremendous potential in The Hag's power. Survivors who trigger a Phantasm Trap are deafened for 6 seconds. Ultra Rare A child's shoe, long lost in the bog's waters. The trapped life essence within unlocks tremendous potential in The Hag's power. Survivors within the triggered Trap range will suffer from the Hindered Status Effect. Increases The Hag's movement speed slightly. Removes The Hag's ability to teleport to her Phantasm Traps. Ultra Rare A small piece of cotton torn from the dress worn by Lisa Sherwood on the day she disappeared. The trapped life essence within unlocks tremendous potential in The Hag's power. The Hag can teleport to any Phantasm Trap in the level. Phantasm Trap teleport has a cool-down of 15 seconds. There are currently 3 Achievements related to The Hag. Achieve a Merciless Victory with The Hag using only her Unique Perks: Hex: The Third Seal , Hex: Ruin & Hex: Devour Hope . With The Hag , teleport to your Phantasm Traps and hit all four Survivors at least once in a single trial. With The Hag , successfully cause Survivors to trigger a total of 300 / 100 Phantasm Traps. Players can customise their Character by choosing one outfit style from each category. Blood-stained attire is obtained after The Hag reaches Level 50 and prestiges. The English name Lisa, a shortened version of Elizabeth, means "God's oath; God's promise" or "consecrated to God." Sherwood is of Old English origin and means "from the bright forest" or "bright forest"; in Celtic, it means "wild." Sherwood is also the name of the forest in which the legendary outlaw Robin Hood made his home. The Hag is the first Killer whose Memento Mori animation takes place in third person rather than from her own perspective. 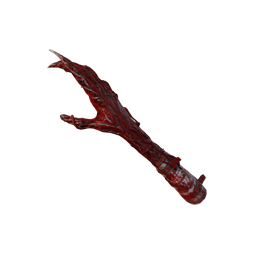 The Hag is the first Killer that doesn't attack with an actual weapon, instead using her massive claw. The Hag's profile is smaller than the other Killers, making it much harder for survivors to spot her, but also making it harder for her to see survivors past objects. The Hag's movement speed is the second slowest for Killers (110 % of Survivor running speed), only a little faster than the Nurse. This is by now shared by The Huntress , The Doctor (Treatment Mode) and The Spirit . The Hag is the first Killer whose perks are directly associated with a destructible item on the map, Totems . Cleansing these totems will effectively disable her perks. The Hag is the second Killer who is able to place traps, but unlike the Trapper , she doesn't need to collect them from the map and instead can have up to 10 traps placed at any one time. 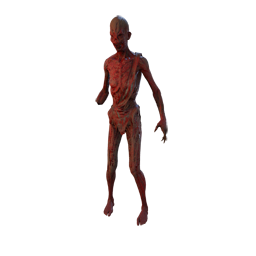 The Hag is also the second Killer who can teleport, but unlike the Nurse , Survivors have to come within range of her traps and she needs to be close enough to a triggered trap before it expires in order to teleport. Unlike most other Killers, the Hag doesn't step through windows, but rather jumps through them. The Hag seems to be heavily based on the Wendigo, an Algonquian myth that says those who commit cannibalism will become possessed by spirits, deformed and eventually turn insane. This is suggested by The Hag's appearance, Memento Mori, backstory, and a few Hag-related items in the game which talk about cannibalism. The Hag and the Nurse are the only two Killers to break Pallets and damage Generators with their hand. The Hag has a Terror Radius of just 24 metres. The Hag's Phantasms always wear the same customisation option as The Hag herself. The Hag was leaked a couple of weeks prior to her release due to the new Daily Rituals already having been assigned to some players. The Hag became a Killer as a sort of second chance, granted to her as an alternative over death by The Entity, after she sought help by drawing the symbols with her last breaths. The Hag's perks are tied to only one totem each. 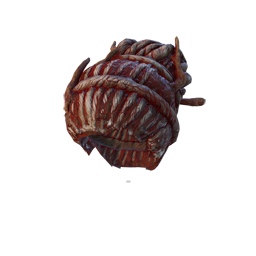 Totems with a Hag perk tied to them have a lit candle, and they can also be seen like a generator. 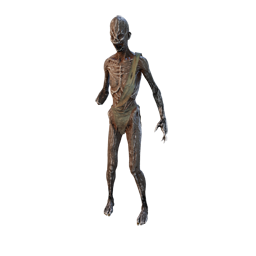 The Hag's profile is low to the ground, which you can use to your advantage if you are in areas with tall obstacles that Survivors can't see past. The Hag's traps can be destroyed by the use of a Flashlight. The Hag's traps will not trigger if Survivors сrouch. Traps placed using the Scarred Hand will still have collision. Guard objectives by placing traps around generators, totems, gates, etc. You can also use the Hag's traps more aggressively, by placing traps near pallets and windows near objectives, so if you do chase someone, you have the advantage of travelling through obstacles instantly. Like the Trapper , the Hag's traps can be seen if they are out on the open, especially under bright light or on a clean surface. It is recommended that you place traps in grass or behind line of sight. 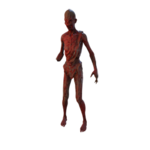 You can play mind games with Survivors: A Survivor may run from a triggered trap, but instead of teleporting to it, you can attack the Survivor normally as they run from the Phantasm. Traps will create a false Terror Radius when triggered, even without The Granma's Heart Add-on. You can use this to approach the area of a triggered trap without Survivors knowing you are doing so. The Granma's Heart Add-on will fully mask your Terror Radius, however, making this much easier to do. This page was last edited on 27 March 2019, at 18:28.